We are on our fourth week of looking at the Hebrew people in the wilderness. We have seen how they have complained about the food, how they have driven Moses almost mad, and how God has provided for their needs. This week, we’re going to look at a case of tough love. Yes, Israel’s going to have the meat they’ve demanded, but along with their bellies being full, God is going to punish them for their disobedience and lack of trust. We learn that we have to be careful for what we want. As Sheryl Crow sings in her song, “Soak Up the Sun:” It’s not having what you want. It’s wanting what you’ve got. I’m sure the Hebrew people didn’t want what they got. Read Numbers 11:31-35. Robert Ruark began quail hunting with his granddad at the age of eight. 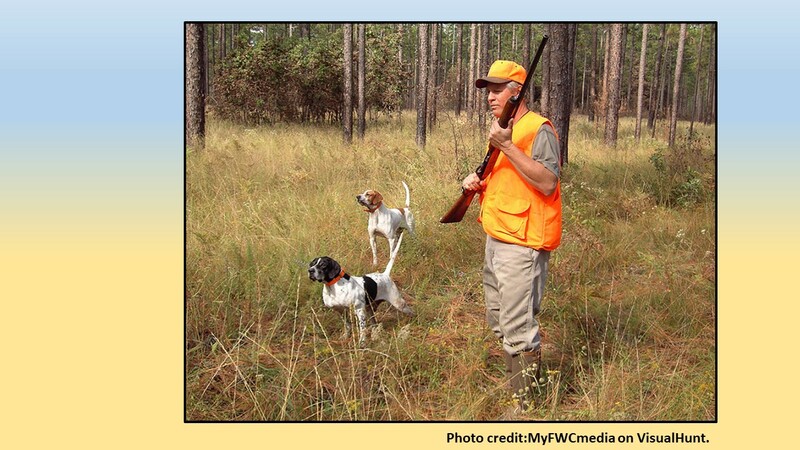 The opening story in his wonderful book, The Old Man and the Boy, is about a quail hunt. To the chagrin of his mother and grandmother, his grandfather, “the Old Man,” brought him a 20 gauge shotgun. They headed out into a pea field with two dogs. Quickly, the dogs were pointing and the Old Man gave him a shell and told him to load up. He broke open the barrel, slipped the shell into the breech, and snapped it closed. Then as his pulled the gun up to hold at a forty-five degree angle across his chest, to be ready for when the birds flushed, he quietly slipped the safety off and stepped toward the dogs. “Whoa, Give me the gun,” the Old Man demanded. “’Habit is a wonderful thing’, the Old Man said. ‘It’s just as easy to form good ones as to make bad ones. Once they’re made, they stick.’” The Old Man continued, as he taught the boy how the safety stays engaged until he brings the gun to his shoulder as he follows the bird in flight. 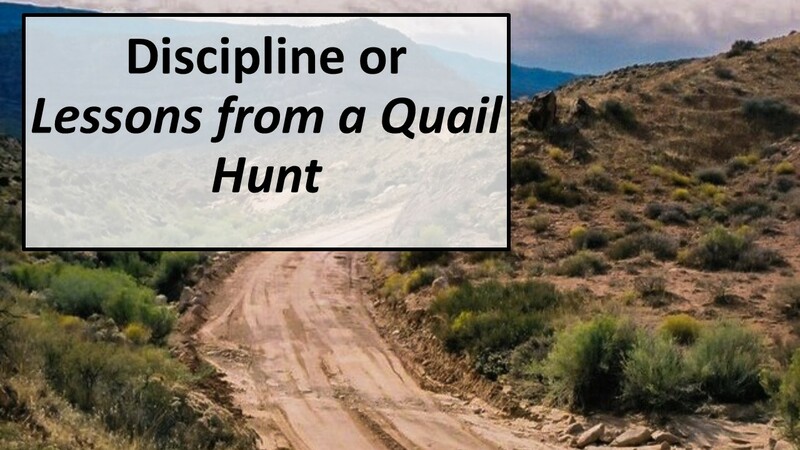 I wonder what the Old Man would have thought about the way the Israelites hunted quail. He probably wouldn’t care for it, but I expect he would understand God’s intention of teaching the Hebrew people some good habits such as placing their trust in the Lord. The land between is a good place to learn good habits. The Hebrew people wanted meat in their diet and in this text we see that they got what they wanted. We’re told that a wind blew the quail into the Hebrew camp. 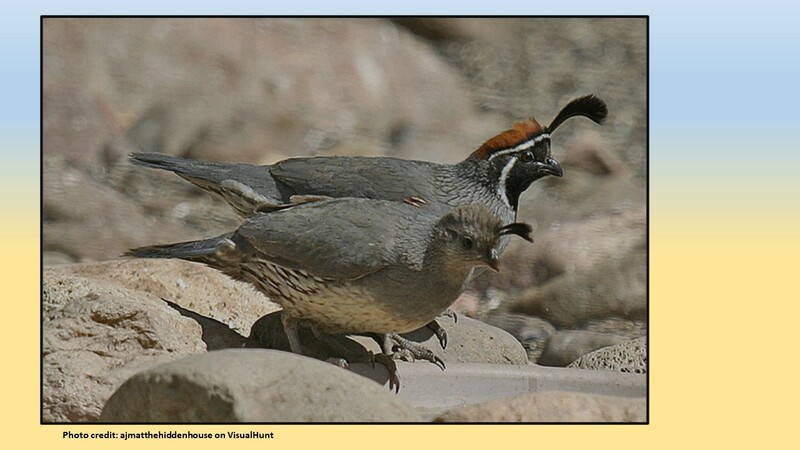 Quail often migrate through the Sinai in the spring and fall. So, perhaps as these birds were transient, God blew up a storm and blew them toward the place where Israel was encamped. And it’s not just a few birds. With quail, in which each bird produces about 5 ounces of delicious meat, you’ll need a lot of birds to feed so many people. But Israel gets more than a lot. The least anyone collects is ten homers. A homer is supposedly about 6 bushels, so each person has a truckload of birds. This is an absurd amount. I’m sure that soon there were fires going and birds grilling as the rest were being dressed out to dry and to store for later. It’s almost as if God decides to overwhelm the Hebrew people with quail as a way to show them his power. They should have been thankful that the birds were quail and not ravens. 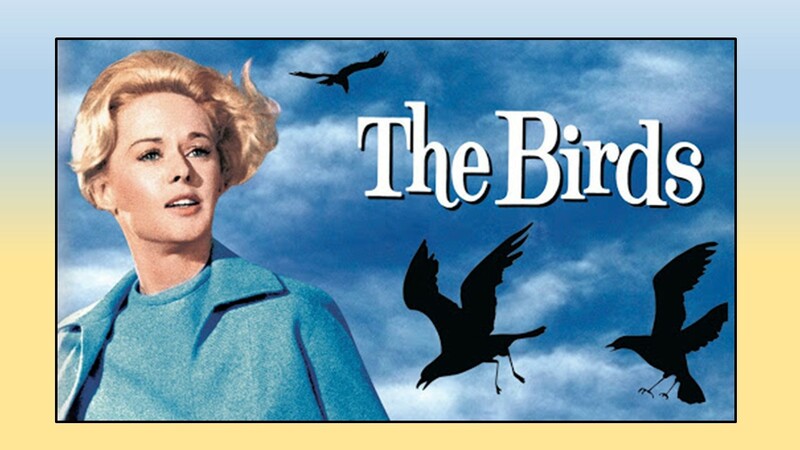 Had it been the later, Alfred Hitchcock’s movie, “The Birds,” would could have been Biblical. But instead of the birds attacking, they are easily caught by the Israelites. It’s as if God is asking, “You think I can’t take care of you?” “Let me show you.” But that’s just part of God’s response for there is divine anger brewing because of the people’s lack of trust. (See, those quail could have been ravens). 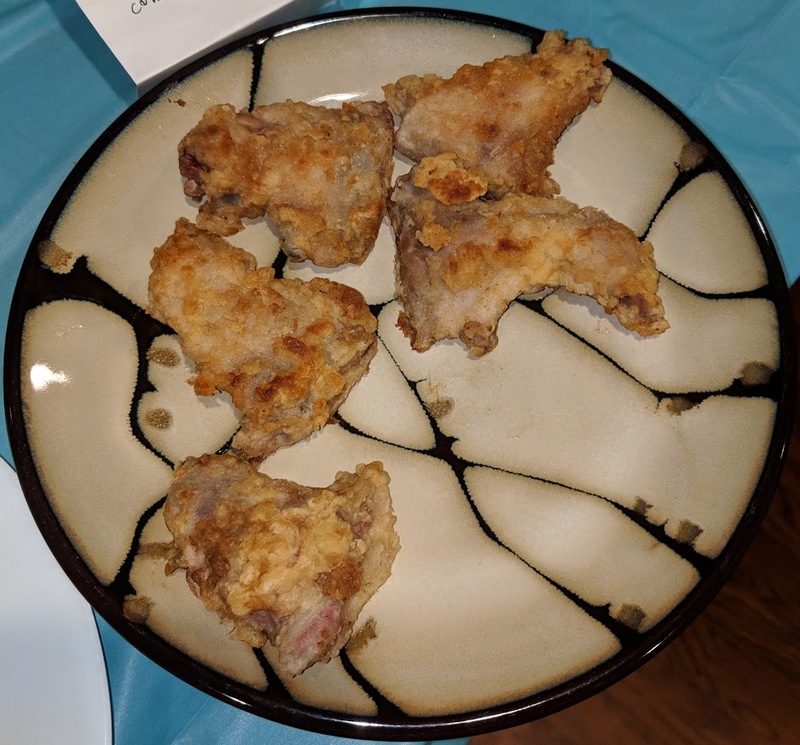 As the people dress out the quail, eat their fill, and begin to pick the meat from between their teeth, God’s anger rises and a plague descends upon the people. Did the quail contain some pestilence? We’re not told, nor are we told how many died, but enough died that they named their encampment in remembrance of those who “had the craving.” And they quickly moved on to another camp. We’re left wondering if they took the drying quail with them or if they left them in the sun to dry and for the creatures of the desert to devour. This is just one of God’s punishments of Israel in the wilderness we find in the Book of Numbers. A few chapters later, the people will revolt and suffer the consequences. And later in the book, they’ll complain again against God and snakes will come after them. 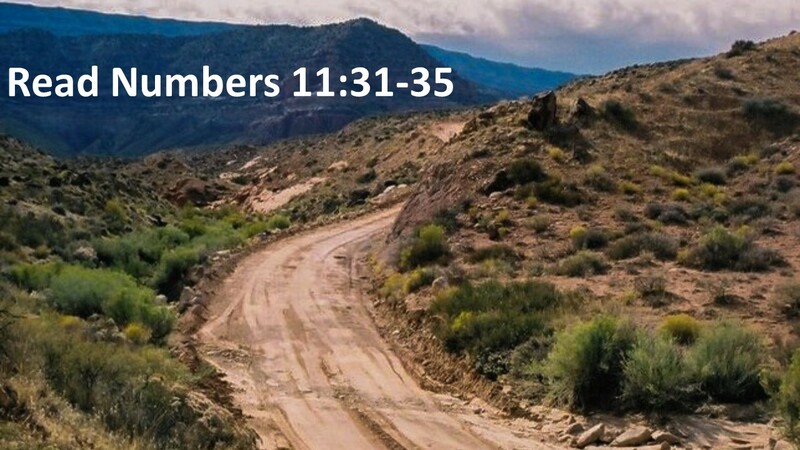 The Book of Numbers provides lots of ideas for a horror flick. But what do we see? Over and over again, God cares for the people, yet they do not trust the Lord to look out for their well-being. Over and over again, the people are disciplined. Judgment is not the last word; it is never the last word. Judgment is necessary because of centuries of hardheartedness; its proper work is to open our hearts to the reality beyond ourselves, to crack the carapace of self-sufficiency so that we can experience the inrushing grace of the healing, merciful, forgiving God. Scripture discusses judgment and discipline a lot. Some of you may think there’s too much judgment and discipline in Bible, but as Jeff Manion reminds us in his book, The Land Between, we have an advantage. As Paul wrote to Timothy, “Scripture is useful in building us up,” and if we allow Scripture to work in such a manner, we can learn from the mistakes of others. That’s a benefit to cherish. 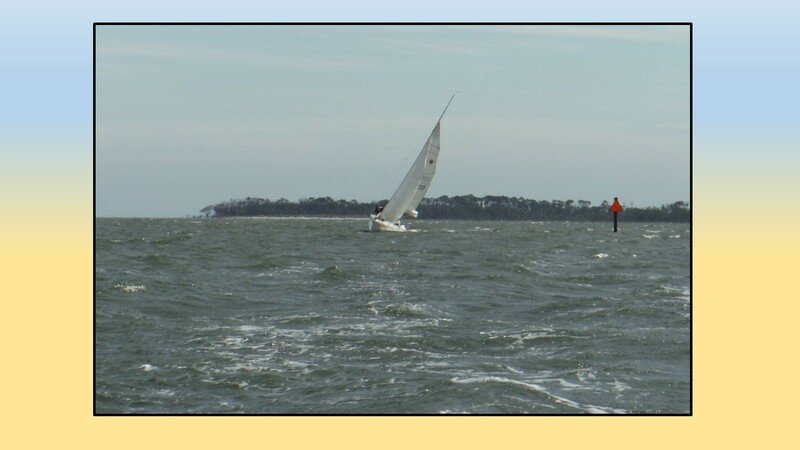 Yesterday afternoon I was sailing in a race. There was J-105, a much larger and faster boat than any of the rest of us. This boat set the mark. We were coming back up the river, against the tide, which is a time that you try to keep your boat out of the current as much as possible. One way to do this is to hug the side of the channel where the current is less. But there’s the risk of running aground. We watched that J-105, knowing that its keel was much deeper than ours. If it had problems with shoals and ran aground (which would have been the only way we could have caught it), we would know to steer clear. Scripture is like that, we get to see the mistakes of the Israelites and the early disciples, and can steer clear of them. We can learn from their discipline! 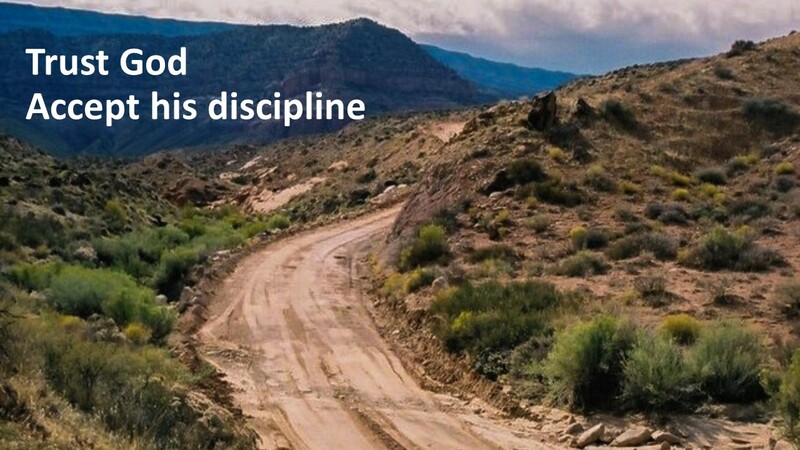 There are many Proverbs that speak of the need for discipline. 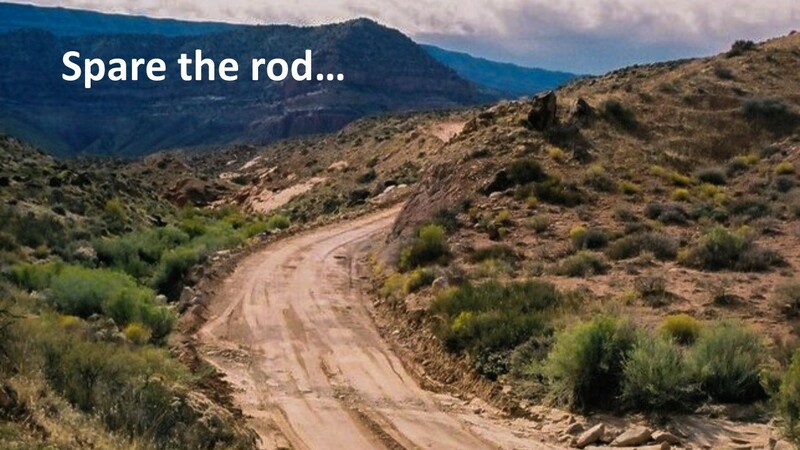 We have all heard the saying, “Spare the rod, spoil the child,” and assume it is from the Bible. We’ll, not exactly. However, there are many Proverbs that do speak of the need for discipline, the one that comes closest to such a saying is Proverbs 13:24, which speaks of those who refuse to discipline their children, hate them. Paradoxically linking permissiveness and hatred is an attempt to drive home the message that discipline is required. Corporal punishment isn’t necessarily required and certainly punishment that borders on abuse is condemned. Discipline may be unpleasant, but if we are not taught what is right and wrong, how are we to know? This Wednesday issue of the Wall Street Journal had an article by Robert Hamilton, a pediatrician in Santa Monica, titled “The Right Way to Spank a Child.” While he was careful to differentiate spanking from abuse, as he was writing against a recent ruling from the American Academy of Pediatrics that had expressed its opposition to all forms of corporal punishment, he made the case for mild spankings. This would be spankings that strings but doesn’t come anywhere near injuring the child. He set ground rules that I’m sure many of our parents didn’t abide by, such as only a two or three whacks, done privately so as not to humiliate the child, and administrated as soon as possible after the offense. The main thrust of his column wasn’t to defend spanking as much as it was to emphasize the necessity of effective discipline in raising children to be responsible adults. In the land between, we see that God, our Heavenly Father, disciplines his people in order for them to grow into a nation. When we are disciplined by God, we need to remember that God is loving us. God is correcting our behavior so that we might grow in our love and trust of him. Sometimes discipline is hard. I don’t know why so many people had to get sick and some of them had to die. But the God who gives us the breath of life can also take it away. But as we see, God wants his people to trust him as they are led through the desert and into the Promised Land. It’s an important lesson, for if they don’t trust him, the people will be lost. And that goes for us, too. If we don’t trust God, we are lost. Trust God; accept his discipline as a sign of love. God wants something better from us and for us. Amen. After note: After preaching this sermon yesterday, I attended a sail club potluck dinner last night where Mike, one of the members of the group, brought quail! There were a few there who had heard my sermon and thought it was funny. 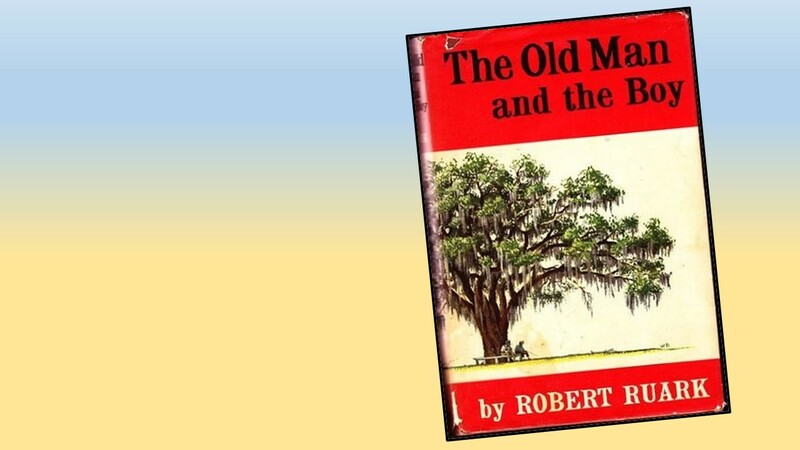 Robert Ruark, The Old Man and the Boy (1993, New York: Henry Holt and Company, 1957), 11-12. Philip J. Budd, Numbers: Word Biblical Commentary #5 (Waco, TX: Word, 1984), 129. 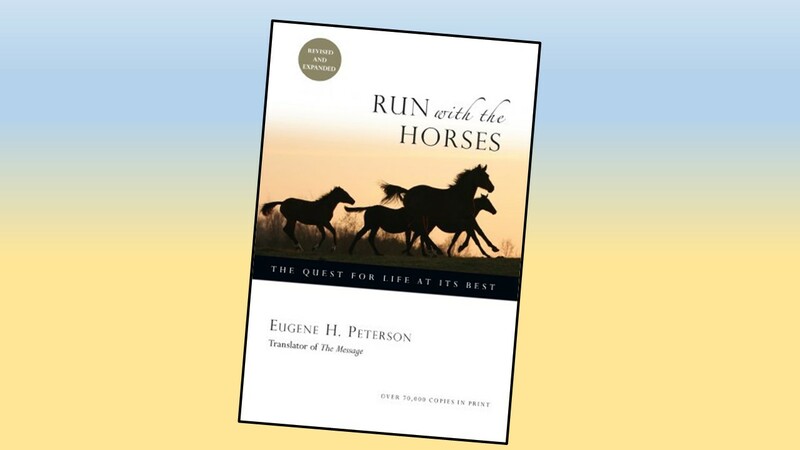 Eugene Peterson, Run with the Horses: The Quest for Life at Its Best (Downer’s Grove, IL: Intervarsity Press, 1983), 173. 2 Timothy 3:16-17 and Jeff Manion, The Land Between: Finding God in Difficult Transitions (Grand Rapids, MI: Zondervan, 2010), 133. Richard J. Clifford, Proverbs: Old Testament Library (Louisville, KY: Westminster, 1999), 140. Robert C. Hamilton, “The Right Way to Spank a Child,” Wall Street Journal (February 6, 2019), A15. I can remember getting spankings as a child and how much it shamed me more than physically hurt. I suppose I learned whatever lesson there was to learn, but it also produced a lot of anger. When I spanked my daughter (she would have been about 4 at the time), she spanked me right back! I couldn’t exactly keep that going without things devolving into a slapping contest, so punishment came to be taking away privileges instead. Not sure how this fits into the point of your blog here, but it is an interesting debate on whether or not to spank. Tamara, I am not very comfortable with the idea of spanking either (but discipline is necessary). The only time I spanked my daughter was she she was about 2 and keep trying to put things into an electrical outlet. After repeatedly telling her no, I picked her up and popped her on the bottom, which surprised both of us. She stopped trying to stick things into the outlet which had the potential of being much more dangerous. Mike has a sharp wit. How as the quail? I hope it was tasty. It was tasty. Mike’s not a member of the church and didn’t know of the sermon–but there were several there who did, which made his dish even more interesting. I like how you describe how we can learn from the mistakes (and the discipline) of others. Unfortunately, I have been aware of the mistakes of other, but I went ahead and made the same mistakes anyway. I guess I chose to learn things the hard way. Spanking is certainly a controversial topic. 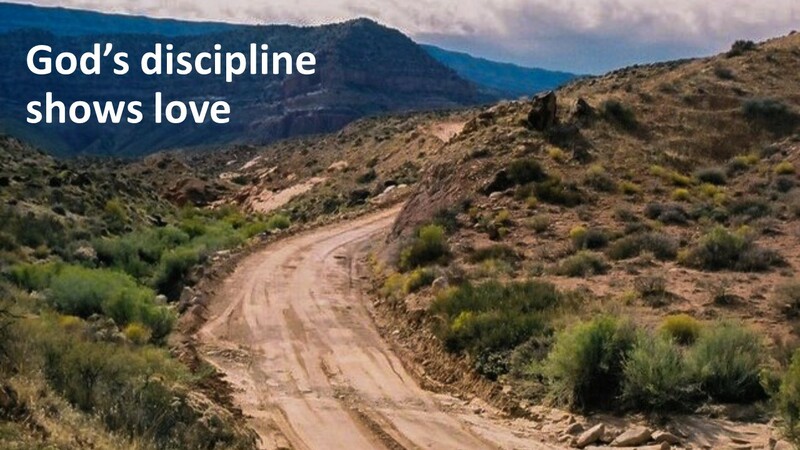 I think discipline is very important, but there are other ways to do it besides corporal punishment. My brother and I were spanked, and all it did was instill fear of our parents. I don’t think we ever learned the reason for why doing what we did was so wrong.